Blogging this morning from the Building Energy Conference, New England’s most established cross-disciplinary renewable energy and green building gathering. If you are here, come visit us at our IISC booth! One of the big topics of this year’s conference and trade show is thinking in terms of systems. In this spirit, the following post draws from an email that I recently sent to the convenor of a state-wide system change initiative that is poised to identify strategic points of leverage within the system and its component systems to nudge it in the direction of serving all people equitably in the state and ensuring community food security. 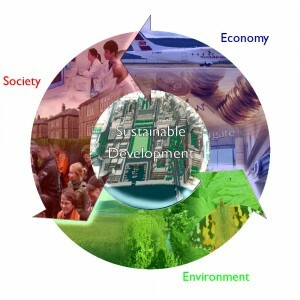 Related to this goal is the desire to support a more robust local economy and to work synergistically with ecosystems. I believe the questions listed pertain to any complex dynamic system change effort, whether one is talking about food, education, or community energy use and production, and I welcome your thoughts . . .
Information flow/Transparency – Does good information (feedback, new ideas) flow fluidly through the various systems in efficient ways, such that people can learn, develop, and make decisions effectively? Is this information freely available to all and not horded by certain parts of the system(s)? This is both about the quality of the information and the quality and quantity of conduits. Shared resources – In addition to information, is there sufficiency in terms of other resources moving through the system(s), including money, materials, etc? Collaboration – Is there sufficient joint work taking place within and between different parts/nodes within the system(s)? Distribution of power – Related to the above, is power distributed in such a way that facilitates dynamic and timely development? Shared responsibility – Is there an overall shared sense of responsibility for contributing to the health of the food system and the state of food security on the part of diverse and key participants? No waste – Is there efficient resource recovery/re-cycling that avoids linear wastefulness of valuable resources of all kinds? Dear readers, curious to hear what reactions you have and/or other questions you might ask that could frame and direct strategies in whole (food or other) system change!